8 rooms / 40 sqm. Deluxe Terrace rooms are spacious and comfortable and feature a wide open sleeping and living area, as well as outdoor covered terrace to enjoy the lush tropical surroundings. 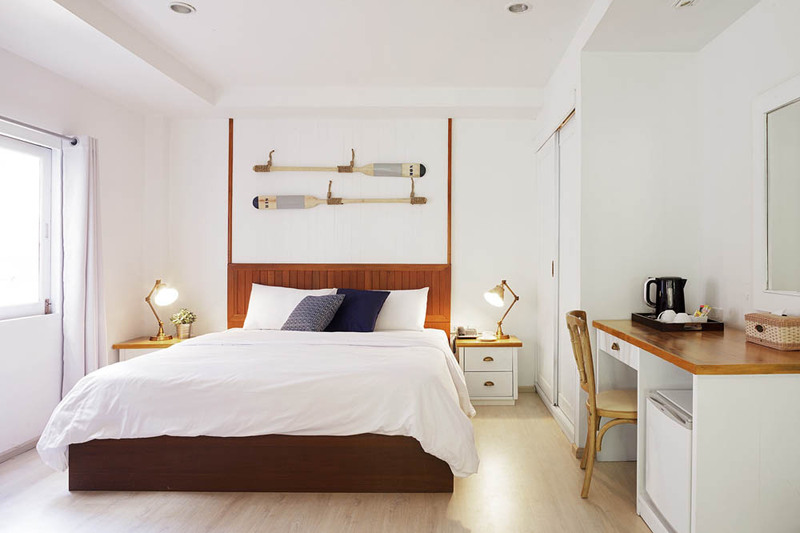 Rooms come with one double bed and feature ceramic floors with wood furniture, including a working desk. Bathrooms are also large and are equipped with rain showers. Deluxe Terrace rooms are located at the front of the property near the reception, and are situated on the first or second floor overlooking the resort. Connecting units are available.